This book offers a road-map to navigate everyday activities: work, family, and leisure, showing how everyone can reach the heights of Christian life in and through these activities. 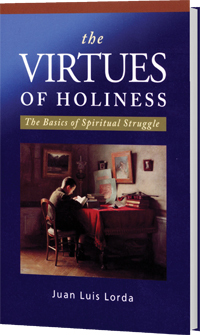 It offers a daily spiritual plan and describes strategies to grow in the virtues needed to follow Christ. This book is accessible to readers of all ages, especially young believers. Fr. Lorda draws upon many Christian apologists--from the Fathers of the Church to St. Thomas Aquinas--as well as the mystics Sts. John of Avila, John of the Cross, and Teresa of Avila.